Apple Bhaji ???? Yes you heard it right. I was surprised too when i noticed it on Hotel Sangeetha’s Menu Board. But i didnt order it considering how it would be. I thought to try it at home. It was too good. Try it and impress your family. Wash the apple and Slice it as thin circles using vegetable slicer. Remove the seeds. 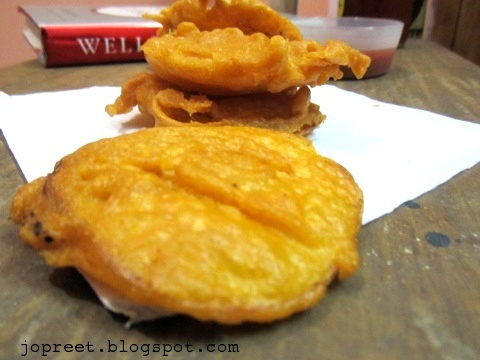 Mix little water with bhaji flour and prepare a thick batter. Heat oil in a kadhai. 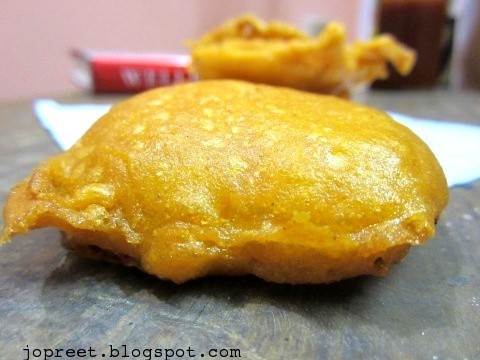 Dip the slices in flour batter and make sure it is fully coated. Drop in oil and fry till it turns golden brown. Remove from the oil and drain the excess oil using absorbent tissue paper. Serve hot with kara chutney or chili sauce. woooow…Amazing n very innovative preeti…Perfectly made!!! hot and sweet. Yum. What is the flour u mentioned in ur recipe dear? its like instant mix sherin.. "aachi" products are the famous brand in tamilnadu..
nice thinking PT bajji with apple..fantastic..
Wow thats soo interesting,crispy apple bhaji looks great. 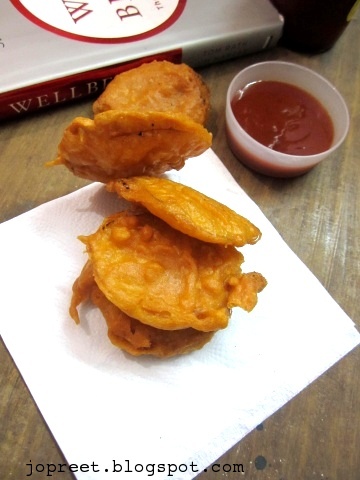 again comes different one!never tasted apple bhaja..thanks for sharing..
Delectable bhaji..lovely twist to enjoy fruits..
Great idea, why not apples? This would taste very good! A varied bhaji Preethi..Loved it ! Very innovative.. nice sweet n savory combination! Very new, have to try this out..